Item 31: Deakin Bro's Trade Card. 1882. 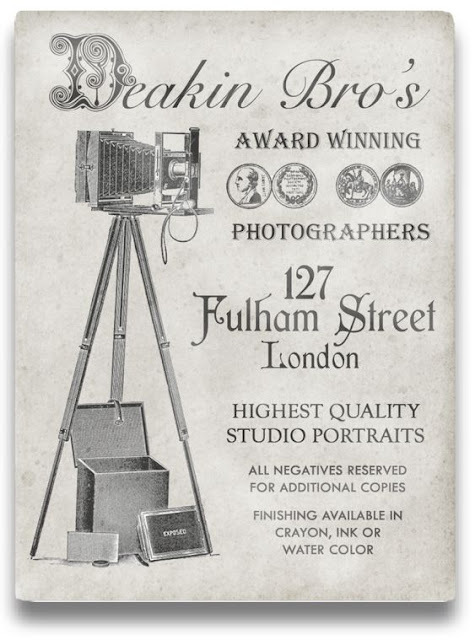 Numerous items contained within the Hawkins Strongbox bear association with Timothy Deakin and the Deakin Bro's Photography Studio. The brothers Deakin were Robert, born in 1851; Timothy, born 1855; and the youngest John (though most often referred to as Jack), who arrived in 1860. Parents Landry and Edyln Deakin also had two daughters, Glynnis born in 1853 and Kendra in 1857. Tragically, both girls drowned in a boating accident during the summer of 1867. Item 31, a trade card for the Deakin Bro's Studio, would be otherwise quite mundane if not for the enigmatic message penned across its reverse side. 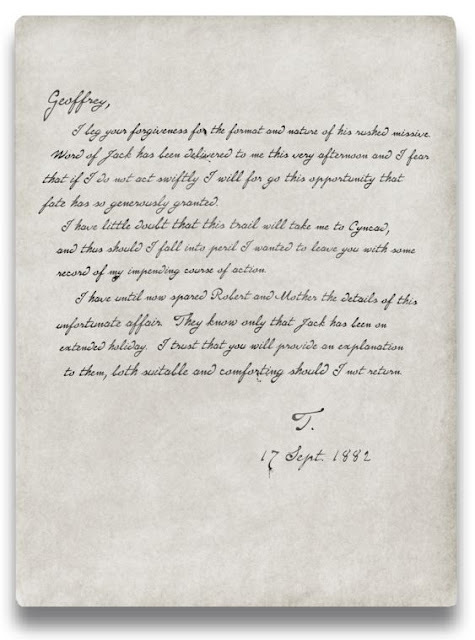 The card is somewhat unusual in that it only featured printing on one side, but this did afford Timothy Deakin the space to write what appears to be a hastily composed note to Geoffrey Hawkins. I beg your forgiveness for the format and nature of this rushed missive. Word of Jack has been delivered to me this very afternoon and I fear that if I do not act swiftly I will forgo this opportunity that fate has so generously granted. I have little doubt that this trail will take me to Cyncad, and thus should I fall into peril I wanted to leave you with some record of my impending course of action. I have until now spared Robert and Mother the details of this unfortunate affair. They know only that Jack has been on extended holiday. I trust that you will provide an explanation to them, both suitable and comforting should I not return. 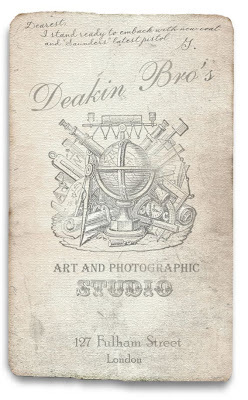 "The Deakin Bro's trade card is part of a group of items we have classified as Lot 7 -September 1882. It includes the trade card, a newspaper clipping, a number of sketches, and a lengthy narration written by Timothy Deakin. These items all relate to events surrounding the disappearance of Timothy's younger brother Jack during the late summer of 1882. I am currently transcribing the pages written by Timothy and hope to have that text available for exhibition sometime in the near future." 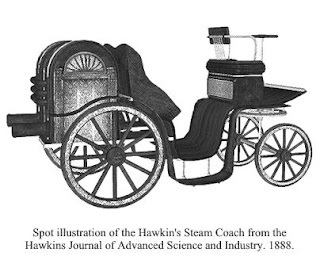 Item 78: Patent Diagram for the Hawkins Steam Coach. 1888. The Hawkins Steam Coach appears to have been both a tremendous success and bitter disappointment for Geoffrey Hawkins. It was one of the first major industrial design projects completed by his then fledgling Hawkins Industrial Laboratory. 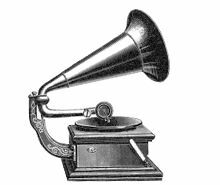 Three prototypes were produced from 1888 into early 1889. 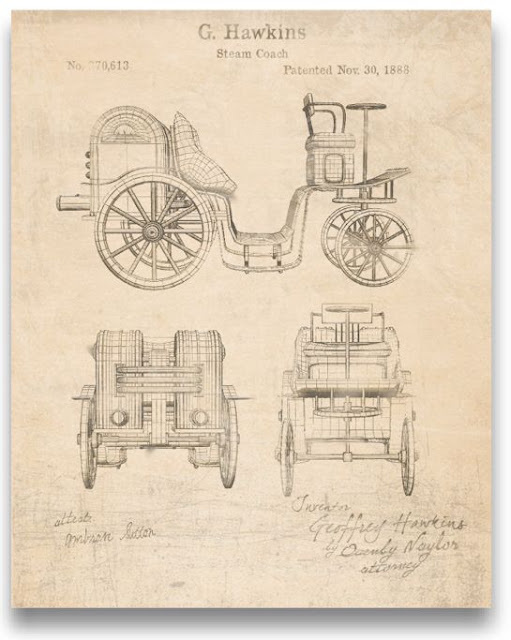 However, beyond this patent diagram that was found in the strongbox, little to no physical evidence remains of Hawkins' early attempt at building a horseless carriage. Most records associated with the project were likely destroyed in the catastrophic fire the that consumed Hawkins' lab in 1896.
" . . . and so then, what is the status of your intriguing carriage project? Your last correspondence indicated that you were in deep study of Rickett's earlier designs and that you had even managed to examine the vehicle he had built for the Earl of Caithness." Alexander was referring to Thomas Rickett, a Buckingham inventor who had designed a steam carriage some three decades earlier. 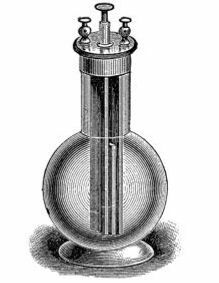 The fall 1888 issue of Hawkins Journal of Advanced Science and Industry included a very brief article noting that production had commenced on a prototype. It was accompanied by a spot illustration that essentially matched the patent diagram. According to a note from Hawkins to his accountant in December of 1888, his first steam coach met with "sabotage most foul" sometime in November of that year, though he surprisingly provided no other details. In January of 1889, accounting records indicated that Hawkins was preparing to purchase a vacant factory building near Faversham, but backed out of the arrangement at the last minute. Again, a note from Hawkins to his accountant provided clues to the fate of his steam coaches. "They have managed to infiltrate my defenses and the second is now gone as well," he wrote in a letter dated January 17, 1889. "I am securing the remaining vehicle beyond their reach. It is indeed sad that society will be denied this amazing and beneficial boon to science and industry, due to the jealousy and greed of my rivals. They have suppressed a wonderful invention, but I have neither the will nor determination to battle their attacks at this time and I can no longer continue to compromise the safety of those in my employ." Who are these unnamed rivals that Hawkins refers to? German automobile inventors Karl Benz, Wilhelm Maybach and Gottleib Daimler were equally busy during the same decade pioneering their own horseless carriages. Were any or all of these individuals somehow threatened by the technologies and innovations contained within the Hawkins Steam Coach? Enough to employ the "sabotage most foul" that Hawkins alluded to? And what of the third and final Steam Coach that Hawkins secured beyond the reach of his unnamed enemies? 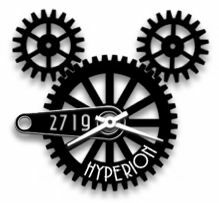 Does it still exist, perchance collecting dust in some remote location beyond the reach of historians and mechanical scholars? Let us hope that the answers may lie deeper within the strongbox we continue to explore. My congratulations on the launch of the online exhibition. I applaud the efforts of both yourself and my colleague Archer Bowens. I just wanted to pass on a correction to your post dated 20 January. You noted that Hawkins was holding a Saunders Æther Pistol. That is in fact not true, but it is a very understandable mistake on your part. Hawkins himself and a number of his colleagues perpetuated that very misconception whenever possible. 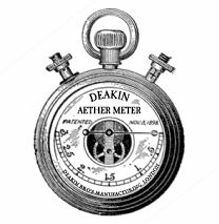 Æther-related weapons technology was almost exclusively in the possession of a select few individuals during the Victorian era, Hawkins being among them. 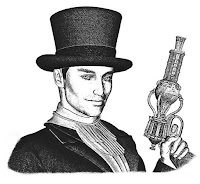 These scientist-inventors manufactured various æther firearms for their own personal uses and pleasures but adamantly refused to share them with the public at large. Only one gunsmithery attempted to produce an æther firearm for public consumption and that was the London-based Saunders and Sons. The accidental death of Kenyon Saunders in 1882 abruptly put an end to their efforts. Although Hawkins and his associates wished to keep æther weaponry a secret, they were often careless in exposing such items in very public arenas. To deflect the resulting inquiries, they would simply identify the pieces as Saunders models manufactured prior to the tragic 1882 accident. 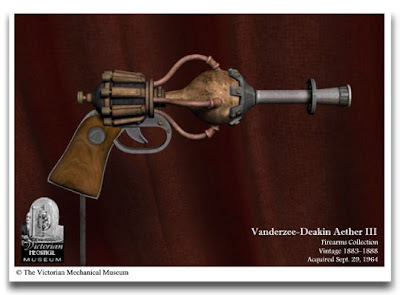 The pistol Hawkins is holding in the photograph is a Vanderzee-Deakin Æther III or some variation thereof. 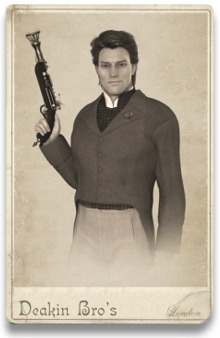 As the photograph was taken at the Deakin Brothers studio, it is likely that Timothy Deakin provided the pistol as a prop for the occasion. Again, my sincerest congratulations on the the launch of the online exhibition. This item was found among a number of other cabinet cards in a small box that also included letters and a few business receipts. Hawkins appears to be holding a Saunders Æther Pistol. 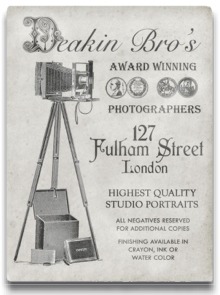 The card was produced by Deakin Bro's of London who were renowned for their elaborate studio sets and backdrops, as evidenced here. 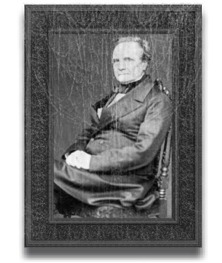 Timothy Deakin, the middle son of the three Deakin siblings, was also a well known friend and associate of Hawkins. Cabinet cards were typically photographs mounted on card stock that measured 4 1/4 by 6 1/2 inches. They were first introduced in London in 1866 and were especially popular during the 1880s, when this particular photograph was taken. CORRECTION: The firearm Hawkins is holding is actually a Vanderzee-Deakin Æther III. See post dated 22 January, 2010 for further details. As I noted in the previous post, the Hawkins Strongbox was discovered on Ocotber 17, 2003 in the cellar of my grandfather's former home. 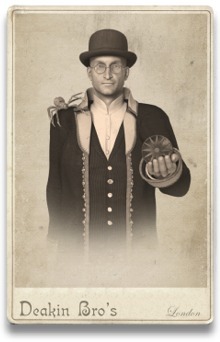 So this begs the question, what is my family's connection to this Victorian era scientist, inventor, writer and adventurer? 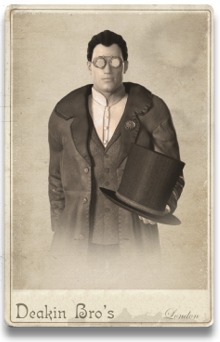 Quite simply, Geoffrey Hawkins is my great-great grandfather. He was born in London, England** in the year 1850. 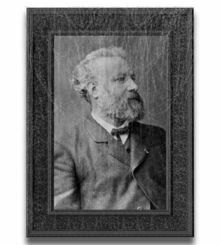 The date of his death remains unrecorded as he disappeared under mysterious circumstances during the summer of 1911. Although my family surname is Pepper, I am in fact a Hawkins by bloodline. Brent Hawkins Pepper, my great grandfather, was born out of wedlock in 1877 to parents Geoffrey Hawkins and Shannon Kennicot. When Brent was two years old, his mother married Roderick Pepper. Both mother and son had been estranged from Hawkins since Brent's birth, and Pepper subsequently adopted the lad on the occasion of Brent's fifth birthday. Despite bearing continued animosity toward Hawkins, Shannon insisted that Brent retain his father's name in some fashion. As an adult, Brent would enjoy a cordial relationship with Hawkins, but still always retained his adopted surname. Brent Hawkins Pepper married Orphelia Burby in 1899. Their son Cedric, the first of three children, was born in January of 1900. 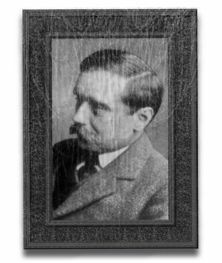 Following service in the British army during World War I, Cedric Pepper emigrated to America in 1920. He married another English immigrant, Esme Sigismund in 1922. Cedric and Esme settled in the small western Pennsylvania steel town of Duquesne, a few miles up the Monongahela River from Pittsburgh. In November of 1928, Esme gave birth to my father William, their third child. It remains a mystery how a strongbox belonging to Geoffrey Hawkins came to be buried in a dark corner of his grandson's coal cellar. 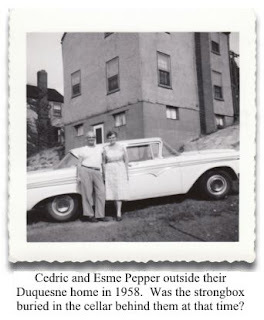 Cedric and Esme Pepper built their Duquesne home in 1946, some thirty-five years after Geoffrey Hawkins vanished from history. My father William Pepper has no recollection of his father ever speaking about Hawkins; the strongbox was a secret buried both literally and figuratively. As yet, nothing found within the Hawkins Strongbox has provided any explanation as to how it journeyed from Victorian England to mid-2oth century western Pennsylvania. 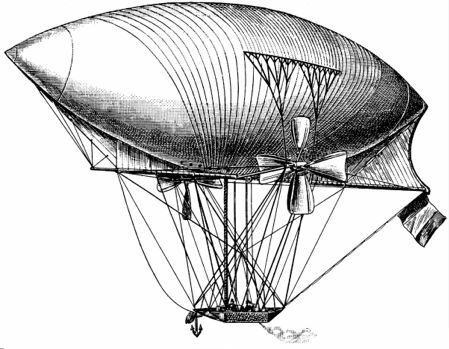 *The spot illustration shown above was originally published in the winter 1885 issue of the Hawkins Journal of Advance Science and Industry. 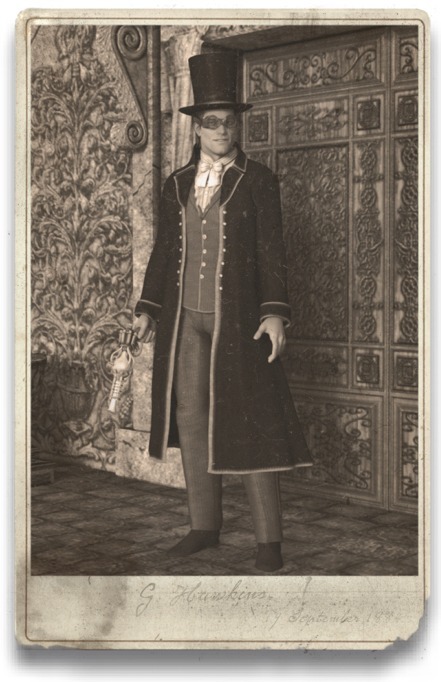 It is likely that the artist used a 1884 cabinet card (HS Item 254) as his reference. **CORRECTION: Geoffrey Hawkins was born in Dixton near the town of Monmouth in south Wales. See Correspondences: A Long Term Venture, Max Planck and More (4 February, 2010) for complete details. 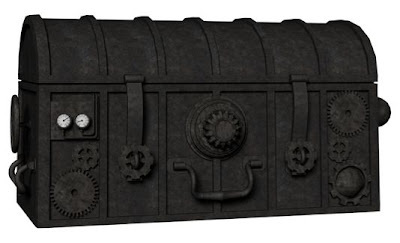 On October 17, 2003, a large iron strongbox, dated from the late 19th century, was discovered in the basement of a small house in Duquesne, Pennsylvania. The house was once owned by my grandfather, Cedric Pepper. The house was sold following his death in 1987. The subsequent owner returned the strongbox to my family, as my grandfather was the house's only previous occupant. That was the beginning of my association with the enigmatic and wondrous Hawkins Strongbox. It took a team of technicians eleven months to decipher the strongbox's locking mechanism. On January 21, 2005, it was finally opened. 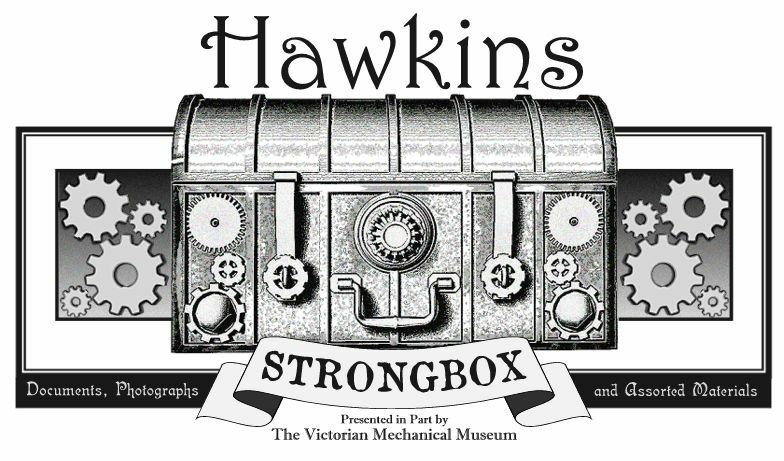 In the years since, the contents of the Hawkins Strongbox have been disseminated, examined, cataloged and preserved by scholars and curators at the Victorian Mechanical Museum in London, England. To say that many of the items found within the strongbox have been revelatory would most certainly be an understatement. Manuscripts, letters, photographs and other assorted ephemera discovered therein have unveiled an enigmatic "age of wonders," a lost history of the Victorian era that has remained mysteriously unexamined by contemporary academia. 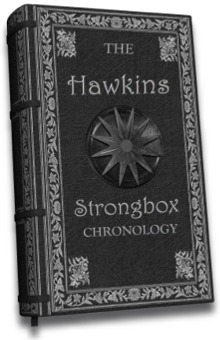 The namesake of the Hawkins Strongbox is one Geoffrey Hawkins, and it is his story that will unfold here in the many months and possibly years to come. Four hundred and ninety-six items from the strongbox have been cataloged to date, and museum officials have indicated that those items represent just one half of the box's contents. Therefore, the story of Geoffrey Hawkins will certainly not be presented here in any type of linear fashion. It will be a potentially puzzling, disjointed exploration, but one that I hope will still ultimately prove enlightening and satisfying. As we launch this effort, I want to express my thanks to Archer Bowens, Documents Archivist for the Victorian Mechanical Museum. It was a chance meeting with Archer at Wake Forest University in late 2003 that brought about the Museum's involvement with the then still unidentified large iron chest. Archer has since been with the Hawkins Strongbox project every step of the way and has been instrumental in helping prepare collection items for online exhibition. His is a spirit of adventure not entirely dissimilar from that of Geoffrey Hawkins, whose life and legacy we now explore.